Order now and receive free freight! Every RedHead® Wedge Anchor is in stock for immediate shipping. Trubolt® is dependable, heavy-duty, American made and manufactured by ITW Red Head. 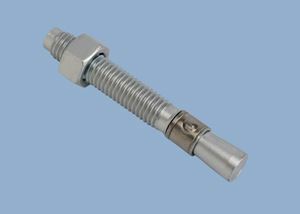 It is fully threaded to eliminate subsurface obstruction problems and easily accommodates various material thicknesses at the same embedment.